A film about the life of JRR Tolkien (1911, Classics and English) is being produced by Fox Searchlight Pictures and Chernin Entertainment. The role of Tolkien will be played by Nicholas Hoult, who is perhaps best known for playing Hank and Beast in recent X-Men movies as well as for starring roles in About a Boy and Channel 4’s Skins. The role of Tolkien’s future wife, Edith Bratt, will be played by Lily Collins, who rose to fame in the acclaimed film The Blind Side. 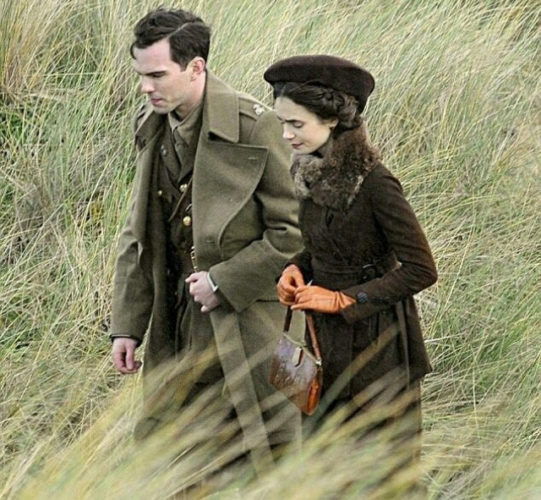 Details of the film are being closely guarded, but it is thought that it will include Tolkien’s time at school, when he met Edith, his years at Exeter College, during which the two were forbidden from having any contact whatsoever by Tolkien’s guardian, Father Morgan, their engagement on the eve of Tolkien’s 21st birthday, and their subsequent separation again as Tolkien was called up to serve in France during the First World War. As well as revealing the love story between Tolkien and Bratt, it is thought that the film will follow Tolkien’s time at the Battle of the Somme, which influenced much of his later writing. Tolkien went into production in October 2017 and it is believed that it will be released towards the end of 2018.